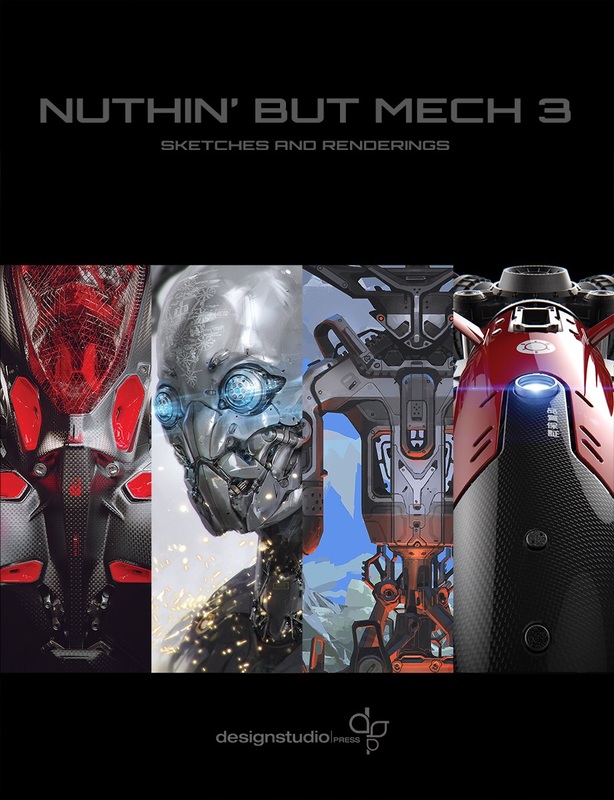 I am incredibly honored to have been invited to submit imagery for the Nuthin' But Mech series. In appreciation of Francis Tsai's contributions to the artistic community, proceeds from the sales of this book will be donated to his family. You can order your copy from Design Studio Press. I've been sitting on these images for over a year now and am excited to finally be Sharon them! For my submissions, I wanted to pay homage to the still bourgeoning field of 3D printing. Images were first sketched out as thumbnail sketches before diving into Maya and ZBrush for modeling. 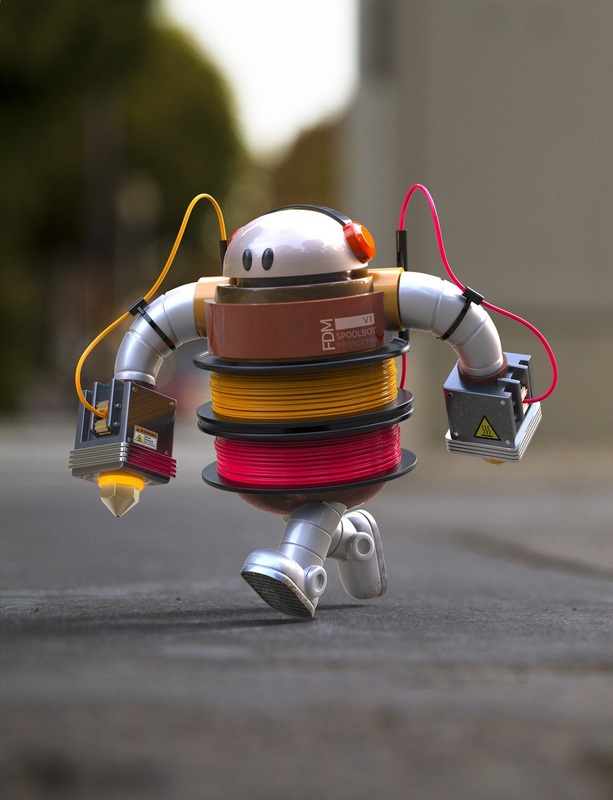 Rendering and compositing completed with the ever awesome KeyShot 3D.